BLOODLINES: LEGACY OF DARKNESS: It’s always cold this time of year in Chicago but lately in Melrose Park, on the edge of the Huppert Woods, there is a special chill in the night air. Something has disturbed the mausoleum hidden there aside the old Orfeo Estate and there’s been ashen corpses showing up throughout the park and surrounding neighborhood. Local legend has it that Lord Orfeo who was a prominent member of Chicago society a century ago was actually a vampire who came on a boat from Moldova, intent on continuing his bloodline on the new continent. There is panic in the streets as people fear that he has awoken, renewed his quest, and now he has company…. The dark lord has called upon his army to rise from the Resurrection Cemetery in nearby town of Justice, IL. Will you escape from the caves and catacombs or will you become one of them? 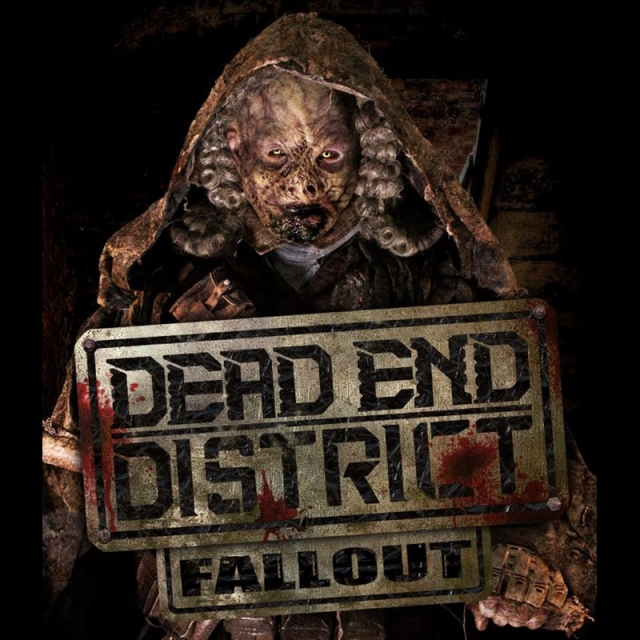 DEAD END DISTRICT: FALLOUT: Fallout Melrose Park may seem like a sleepy suburb, but it is indeed about to be shocked awake. Within the walls of an old industrial building, a supernatural portal has opened to another place—and time. It is a window into a post-post-apocalyptic world where the trees, animals, and blue skies are no more and all that is left is desolated urban sprawl. 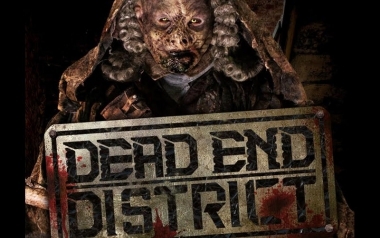 Streets, shops, and even casinos, have become hunting grounds for the mutant criminals and tortured souls that come out at night in what has been dubbed the “Dead End District”. The government, police force, and military are no more… leaving only “The Judge” to rule the land. You will be dragged before him and must submit your fate to his whim. Or will you break free and escape the hellish tribunal? 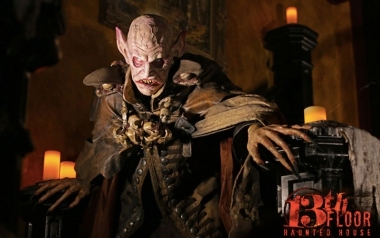 Come with us, as we attempt to explain the legend of the 13th floor, and introduce you to Chicago’s most horrifying haunted experience, the 13th Floor Haunted House. The levels of a multi story building are frequently numbered sequentially, from "basement", “lobby”, “ground”, "one", or “1” upwards or occasionally downwards. In some countries, as it is here in the United States, the number 13 is considered unlucky and building owners will sometimes purposefully omit a floor numbered 13. Hence, the 13th floor is sometimes given the number 14. Even building owners who are not themselves superstitious realize that the desirability of units on a floor 13 might be compromised because of superstitious tenants, or commercial tenants who worry about losing superstitious customers. Based on an internal review of records, the Otis Elevators company estimates that 85% of the buildings with their elevators do not have a named 13th floor. So why does this happen? Why are even skeptics so easily convinced that the majority would just rather avoid this floor? What has happened in history to create such a stigma about a 13th Floor? For whatever reasons there may be, there seems to be a multitude of stories about what happens on the 13th floor of numerous buildings, some documented, some not. It seems that it has become largely accepted to just leave it alone, brush it under the rug, and don’t talk about it. A good example is that some have suggested the thirteenth floor in government buildings is not really missing, but actually contains top-secret governmental departments, or more generally that it is proof of something sinister or clandestine going on. It should be noted that to place a floor between those accessible from an elevator, it is necessary to either take longer to travel between the neighboring floors, or accelerate, both of which would be noticed by the riders. It would also be noticeable from the exterior, requiring either an extra row of windows or a conspicuous gap between rows. Thus, it would make much more sense to build a secret floor, such as the 13th floor as a basement, making it much easier to hide thirteenth floor locations, in what appear to be single story buildings, underground. We, the creators of the 13th Floor Haunted House, have discovered locations, right here in Chicago, Illinois constructed in the manor described above. Not completely sure of what all of their past uses may have been, it seems that the majority of these locations are currently inhabited as a home for the fortunate or unfortunate souls, living and dead, that have discovered their secret locations when seeking shelter from the environment, or society. Various species of rats, snakes, and spiders have also taken up residence here, living in secret, by their own rules. This year, as in the past, and future, we will open one of these locations for you to tour. 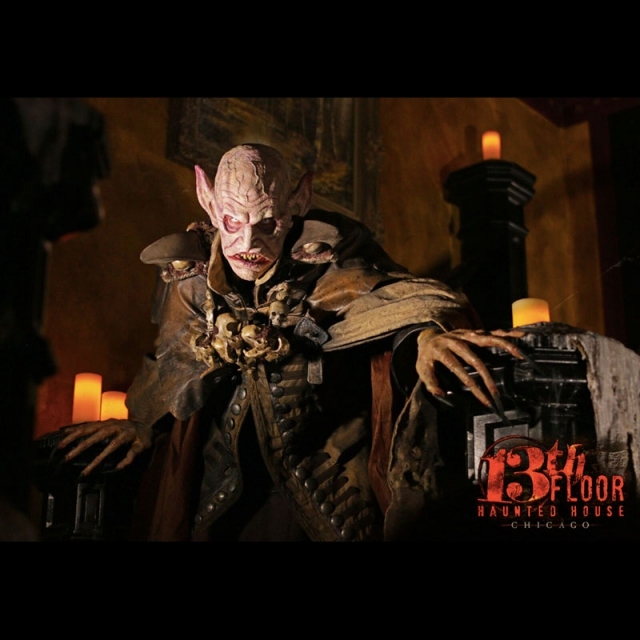 Step inside, take a ride, and travel through the 13th floor, visit the current occupants who call it their “home”, witness the oddities and strange occurrences that have created the legend of the 13th floor, and discover why it continues to be one of the world’s greatest mysteries.